A North East father and son are setting out on their own road to commercial cycling success after launching a new range of high end bikes. Ian and Trevor Hughes are the management team behind Vielo Sports Ltd, and have two decades’ experience of working with leading British and European cycling brands, including bringing the Swiss-based Scott brand to the UK and acting as UK distributor for German road and mountain bike brand Storck. The Gateshead-based firm has been approached by a number of bike manufacturers about acting as their UK distributor, but after examining the current market for ‘Indy boutique’ cycles, Ian and Trevor decided the time was right to launch their own range of highly detailed, technology-led bikes which are aimed at the serious leisure rider. And while the focus in its first year will primarily be on the domestic market, enquiries for the new range have already been received from as far afield as New Zealand and Asia, as well as from mainland Europe. The first Vielo model, the V+1, is a carbon-framed off-road gravel bike that is also suitable for on-road use, and it will be followed later in the year by a new range of three specialist road bikes. The complete range will be sold through a network of independent specialist bike retailers across the UK, as well as via the www.vielo.cc website. The V+1 is being officially launched at the industry-leading Core Bike trade show later this month, and has already garnered a great deal of interest from the specialist cycling press and retailers. 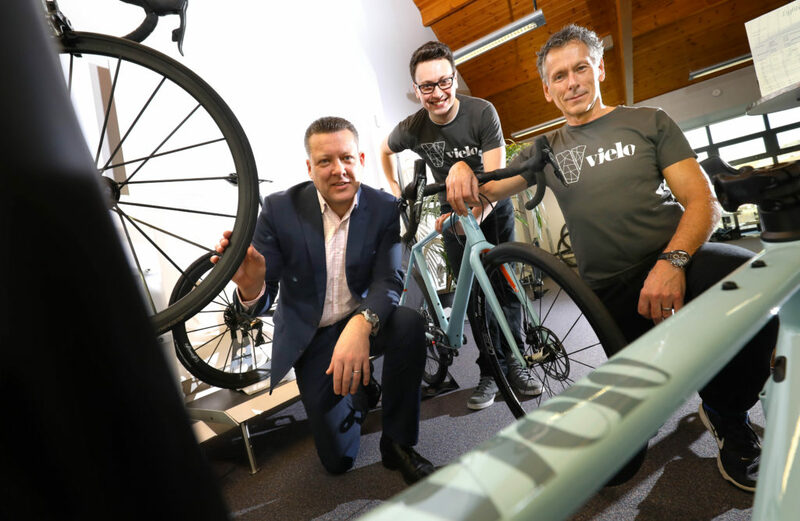 Vielo Sports, was named as Specialist Distributor Of The Year at the industry-leading BikeBiz Awards 2015, worked with NEL Fund Managers in 2016 to secure a £250,000 Finance For Business North East Growth Fund investment to support the business’s continuing development. The North East fund management firm has now provided further advice around the financial planning and preparations for the launch of the new bike range. Trevor Hughes says: “We looked at a range of options for the next stage of the company’s development, and felt that using our industry and design experience to launch our own bike range was the natural thing to do. “Vielos are aimed at third or fourth time buyers who know what they want out of a bike, and who value the type of high end design, materials and detailing that goes into the products we’ve developed. “We’ve had fantastic feedback from the independent retailers that we’ve shown the new range to so far, as well as more than 2,000 unique visitors to our website in the first 24 hours after we first put it on view, and the potential for putting a new high quality North East name on the cycling map is there for all to see.